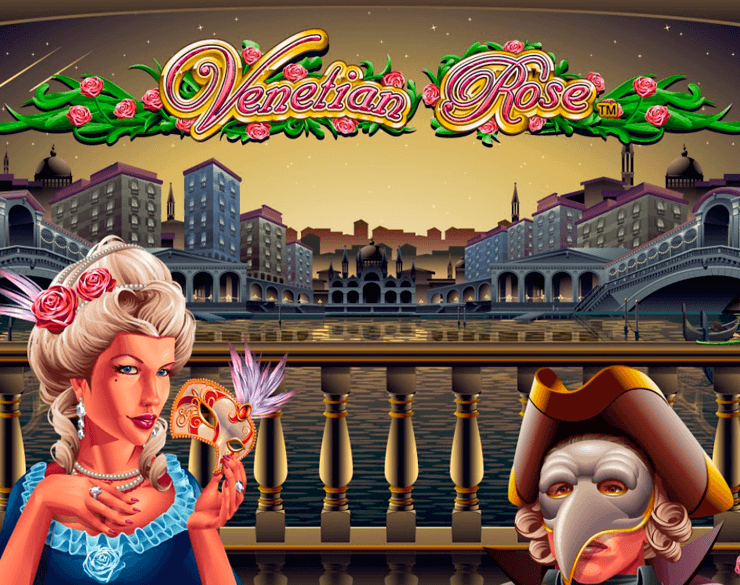 Encounter the medieval kingdom of floating Venice and meet the beautiful Italian rose who’s desperate to give you endless free spins and lucrative bonus rounds in glorious Italy. Make your way down to the calming river as the slight breeze sweeps in on the masquerade while you play a relaxing 25 pay line 5 reel slot that enables you to multiply your profits making this one of the best slot games around. NYX Gaming – and NextGen’s games – both pride themselves on creating accessible, aesthetically pleasing games – they have been doing it for a number of years. Producing content for over 200 unique customers, this developer offers their own Open Gaming System to licensees, allowing for the world’s market-leading multi-vendor casino content. In fact, through NYX, you may have access to over 2000 game titles via OGS, creating a system where it’s unlikely that you have not played one of their affiliated titles. In addition, NYX is in charge of OpenBet, where at 2017 Grand national, it processed 68,000 bets a minute. Amazing! Find many more NYX games right here at slot games. Venetian Rose handles the theme of the game very well, and it is exactly what you would expect. 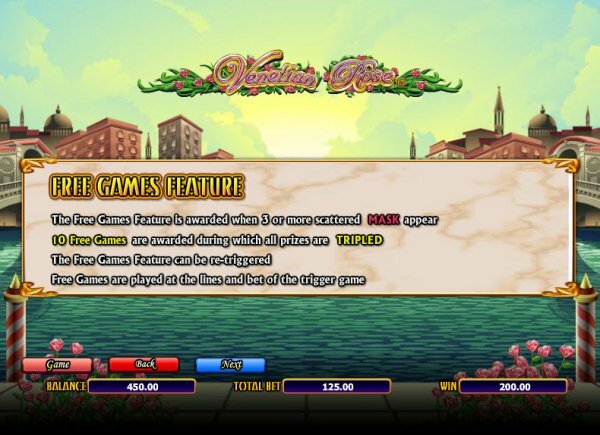 The idea of Renaissance Italy with masquerade balls is a very appealing theme to take in regards to online slot games. The summer days of Venetian high society is handled incredibly well, and the game itself is very immersive. With a detailed, stylised background – with animated gondolas and the landmark of the Rialto bridge – Venetian Rose sticks to its theme very well, and the symbols’ art continues this. With masked lords and ladies, fans, and stereotypical gondolas, it is easy to be taken by this game’s aesthetic. The music is relaxing and fairly simple; when you win, a delightful tune plays, congratulating you! As a five reel, 25 pay line slot, Venetian Rose allows you to enjoy the glamorous lifestyle of one of the most beautiful cities in the world. Being one of NextGen Gaming’s most popular slots, it is not surprising that the game has a number of great advantages for the player. You have scatters, wilds and useful multipliers to make your time easier in the game, and when you do win, you win big! The wild symbol is the ball-gowned lady. With the potential to appear on any reel, she functions as every other symbol available on the board – except for the scattered Masks. If you’re lucky, and you get five of her, you receive three THOUSAND times the line bet. The Mask is the Scatter symbol, paying a nice 200x the total bet for 5 of them, and getting 3 or more anywhere on the reels trigger 10 free spins with all wins tripled, and can be retriggered. Although 10 spins is not a huge amount, more free spins can be won during this time. It is difficult to forget about the Gamble feature within this game. When you select this option, you have the option to risk your previous winnings by picking the correct card colour or suit, if you’re feeling brave; this will either double or even quadruple your prize! 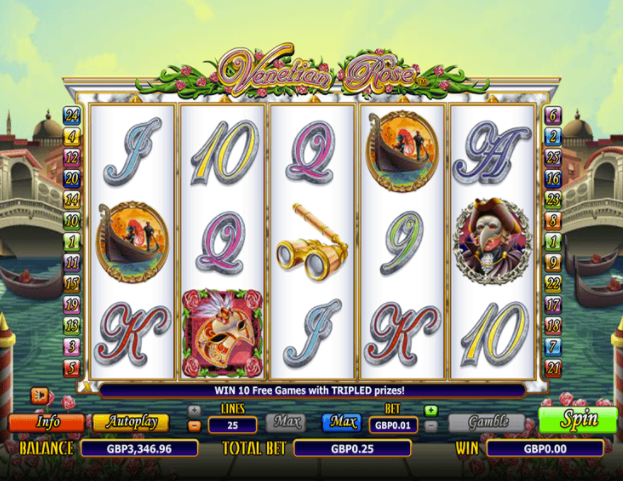 With so many online video slots to choose from you might be wondering whether Venetian Rose is one you’ll enjoy. It certainly has some good features and a great bonus round. So, if you like the sound of the classic, Italian theme and want to spin a slot that’s simple to play yet enjoyable, then why not give it a try? Now check out our Asian Beauty slot.